As a company we value women in our industry and we are committed to respect and fair treatment and want to encourage and support women in our company. As an incentive we have introduced our “Back to work mums’” scheme to attract more women who are considering coming back to work after having their children. This scheme includes offers of part time positions, flexible working, adhoc flexible arrangement during school holidays and working from home. We currently employ 3 women who benefit from the above incentives and 2 of them have been with us for over 10 years. We have also introduced number of social events to break down the barriers between male and female workers to build a team spirit within the company. 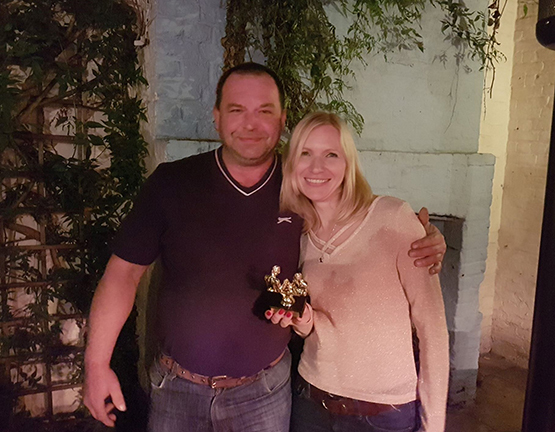 One such event was team summer drinks with the twist of having an arm wrestling competition which one of our female workers won (pictured). We are incredibly proud of women in our company and grateful for their contribution in achieving our vision and goals. Entry submitted by Clearly Renovations.